For the small to medium-sized family, the Nissan Qashqai - the car that started the clamour for family SUVs - continues to go from strength to strength, with the boot space of between 430 and 1598 litres (seats flat) flexible enough for almost every requirement and every journey type, from shopping trips to holidays. The arrival of the 2017 updated model, along a new Tekna+ grade, will undoubtedly ensure that the award-winning Qashqai will maintain its position at the top of the tree against its rivals such as the Kia Sportage, Volkswagen Tiguan and SEAT Ateca. Along with its innovative and stylish look, the elevated driving position, aided and abetted by both infotainment and driver assistance technology such as Active Return Control and ProPilot autonomous drive, makes driving a Qashqai a comfortable and rewarding experience. Easily fitting a driver and four passengers, alongside a smooth and refined drive, the Nissan Qashqai offers clever storage solutions and practical features for singles, couples or families, with that boot space enough for the biggest of shops and the longest of road trips. 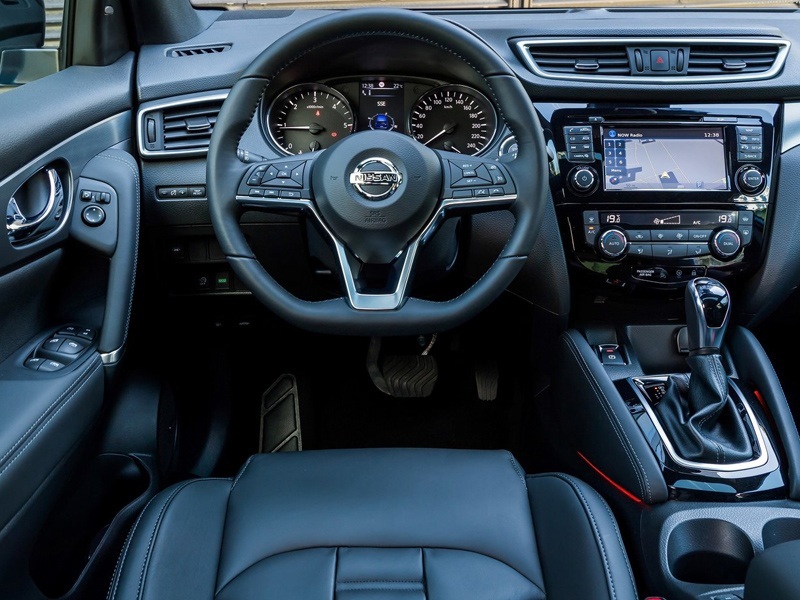 Equipped with the latest Nissan Intelligent Ability safety features, including rear cross traffic alert. A full 5 stars from Euro NCAP with good scores on both adult and child occupancy safety means that the Qashqai is a safe bet, especially with the new 2017 version leaning heavily on Nissan's Safety Shield technology. This is made up of front collision avoidance via autonomous braking, lane departure warning, drowsiness detection, blind spot warning and traffic sign recognition (amongst other assistance) with ABS also being upgraded and improved. The Qashqai offers a great choice of 4 diesel and 3 petrol engines, with the 1.5L 110PS diesel offering the best fuel economy (74.3MPG) and emissions (99g/km) of not only this range but of the whole sector. Powertrains also offer six-speed manual or CVT XTronic automatic transmissions, and two or four-wheel drive so that all customer needs can be met (depending on models). Small boot . Decent good value for money car though. This is the third Nissan Qashqai that I have leased. Have been very happy with all the vehicles. Very comfortable to drive, holds the road well, plenty of space to carry all the grandchildren's paraphernalia!